We’re thrilled to welcome a new serum to our dermaviduals range, PlutioDerm Fluid, which is the second instalment in our PlutioDerm family! This powerhouse serum will have all types/grades of acne and congestion quaking in their boots! 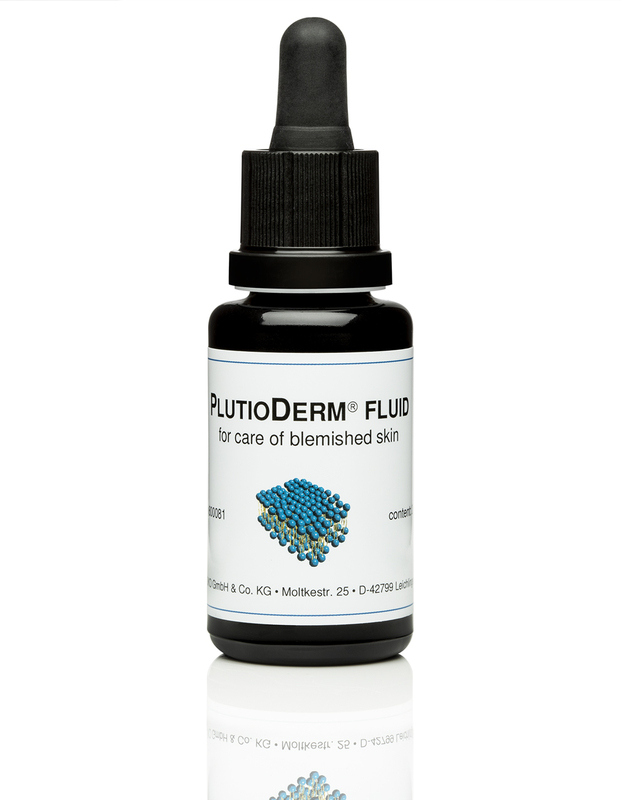 PlutioDerm Fluid contains a high percentage of salicylic acid – 0.5%. As our Education Manager, Steph Christou, explains “salicylic acid is a keratolytic agent, which encourages ‘sticky’ cells that are having trouble turning over (the ones that create congestion) to proliferate (loosen and shed), combatting the congestion and blemishes on your skin’s surface and in the deeper layers of your skin, too”. This serum can be used as a spot treatment, combined with other acne-fighting actives for your very own Bespoke Acne Serum (your skin treatment therapist may consider other serums such as Vitamin B Liposome Concentrate, Zinc Liposome Serum, Vitamin A Nanoparticles, Liposome Concentrate Plus, plus many more!) or customised into a Base Cream or Base Gel. Your skin treatment plan and prescription will be unique to you, so chat to your skin treatment therapist to see if this serum can help your skin.